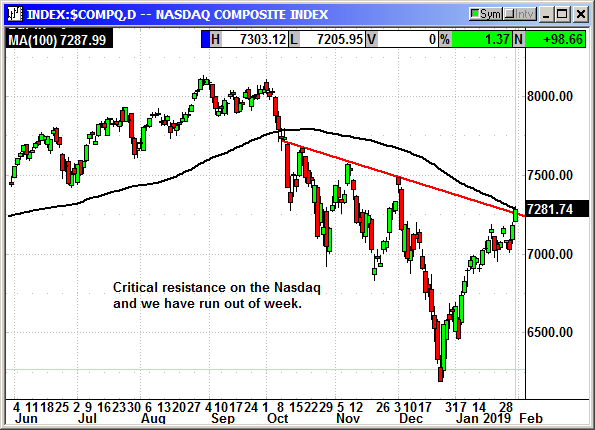 The Nasdaq has led the rally over the last couple of days and is now at critical resistance. It has been a great couple of days for the tech sector but the Nasdaq stopped right at the 100-day and downtrend resistance. We have run out of week and there will be little in the way of headlines on Friday. The Amazon earnings have pushed the Nasdaq futures down -33 tonight and that is likely to carry over into Friday as investors begin to worry about weekend event risk. The short position was stopped at the open. 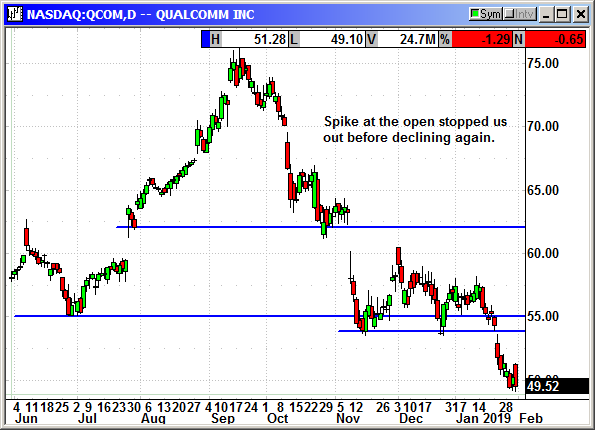 QCOM gapped open to $51.28 and 3 cents over our stop loss. We exited the put position for a minor gain. Update 1/30: QCOM reported earnings after the close and should their afterhours gains hold, we will be stopped out at the open on Thursday. The company reported earnings of $1.20 that beat estimates for $1.09. Revenue of $4.84 billion missed estimates for $4.90 billion because of Apple's continued refusal to pay their royalties and license fees. They guided for Q1 earnings of 65-75 cents and revenue of $4.4-$5.2 billion. Analysts were expecting 69 cents and $4.83 billion. Shares rose to $51.40 in afterhours. 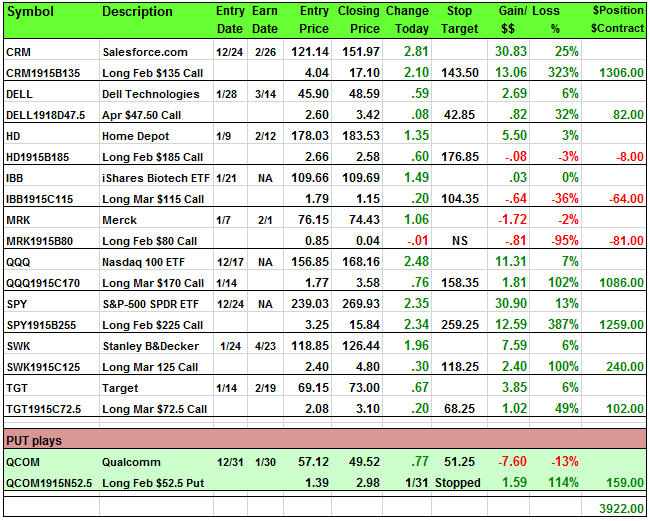 Closed 1/31: Long Feb $52.50 put @ $1.39, exit $2.98, +1.59 gain.